Here is a list of new products and services for late November from companies that cater to online merchants. There are releases on landing pages, shipping, payment options, social commerce, artificial intelligence, and machine learning. 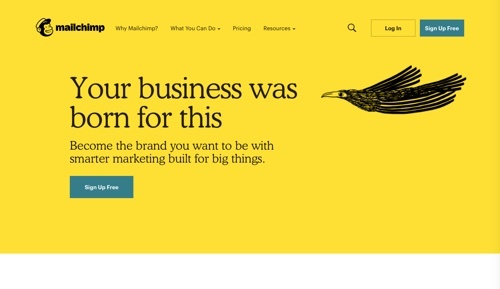 Mailchimp partners with Square for shoppable landing pages. Mailchimp announced a partnership with Square to make Mailchimp’s landing page templates shoppable at no additional cost to merchants. Buyers from your landing page will be added to the Mailchimp list associated with your Square integration. Buyers who haven’t opted in to marketing emails will appear in your list as non-subscribed contacts and can receive transactional emails or social ads. Mercari launches pack and ship service. Selling app Mercari has launched Mercari Pack and Ship, a packaging service offered through The UPS Store. Using Pack and Ship, The UPS Store will print your label, package your item, and ship it for you. Select “Pack and Ship” when listing an item for sale on the Mercari app. When the item sells, take it to a UPS Store. Show them the instructions with the scannable code you received via email or in-app, and The UPS Store will take care of the rest. Shopify acquires Swedish ecommerce startup Tictail. Shopify has acquired Swedish startup Tictail, a do-it-yourself ecommerce and social shopping platform. Online retailers on Tictail’s platform can shift their respective stores to Shopify’s platform. The move is expansion of Shopify’s penetration into international markets. Easyship raises $4 million in series A funding. 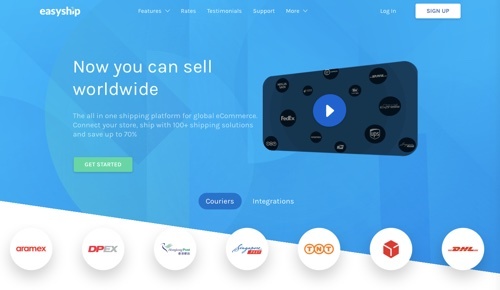 Easyship, a global shipping platform for ecommerce businesses of all sizes, has raised $4 million in a series A round of funding from investors. Easyship’s service adds shipment options to ecommerce pages to make it simple for retailers to offer overseas shipping and for customers to receive products in any market. The platform works with more than 250 services from more than 50 couriers. Webpals Mobile introduces AI-powered segmentation tool. Webpals Mobile has announced an artificial-intelligence-powered segmentation tool for its campaign management platform, Rampix. 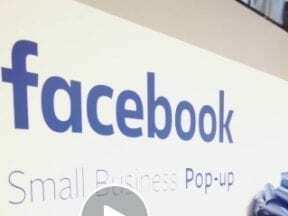 Geared for Facebook campaigns, the tool examines user behavior, making predictions to drive campaign performance. The segmentation will allow companies to focus on customers who are most likely to take in-app actions, maximizing a campaign’s potential. Ecomdash integrates with Google Shopping Actions. Ecomdash, a multichannel inventory management software, has announced its integration with Google Shopping Actions, wherein consumers can consummate purchases without leaving a Google-owned site. Ecomdash merchants can now manage sales orders, inventory updates, and shipping processes across Google’s various channels, joining Ecomdash’s previous integrations with marketplaces such as Amazon and eBay, and with ecommerce platforms such as Shopify and Magento. PayPal acquires Hyperwallet. 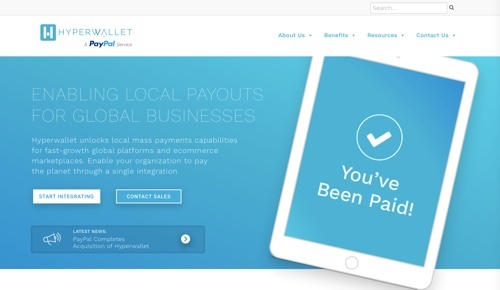 PayPal has completed its acquisition of Hyperwallet (a global, localized payment platform) for approximately $400 million. The transaction will strengthen PayPal’s payout capabilities and enhance its ability to provide an integrated suite of payment solutions to ecommerce platforms and marketplaces around the world. Lengow launches apps to integrate with Shopify. Ecommerce automation provider Lengow has paired up with Shopify to develop an app compatible with Shopify and Shopify Plus. Using the app, Shopify merchants can export product data from their online store, then distribute their catalog across marketing channels and centralize orders placed on marketplaces. Lengow offers over 1,800 marketing channels to sell on, including marketplaces, price comparison sites, retargeting and affiliation platforms and product ads. Italic launches app for consumers to shop directly from manufacturers. Italic has launched a global marketplace that lets consumers shop unbranded luxury goods directly from manufacturers. Ahead of the app’s launch, Italic acquired a waitlist of more than 100,000 consumers and raised $13 million to build the infrastructure necessary to introduce a new model of commerce. Before any item is sold, the Italic team vets each manufacturing partner. Manufacturers who pass the detailed inspection often have produced for well-known brands, such as Prada, Burberry, and Celine. Amazon Web Services announces new services to manage and store data. Amazon Web Services announced three new services: (a) Control Tower makes it easy for AWS customers to set up and govern their multi-account environment; (b) Security Hub is a central place to manage security and compliance across an AWS environment; (c) Lake Formation makes it easy for customers to build a secure data lake (a storage system) by simplifying and automating complex manual steps. AWS also announced eight new storage services and capabilities. Amazon’s Machine Learning University now available to all developers. The same machine learning courses used to train engineers at Amazon are now available to all developers. There are more than 30 self-service, self-paced digital courses with more than 45 hours of videos and labs for four key groups: developers, data scientists, data platform engineers, and business professionals. Each course starts with the fundamentals and builds on them through real-world examples and labs. 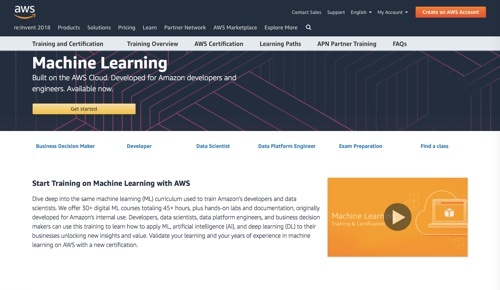 To help developers demonstrate their knowledge (and to help employers hire more efficiently), Amazon has also announced a new “AWS Certified Machine Learning” certification.